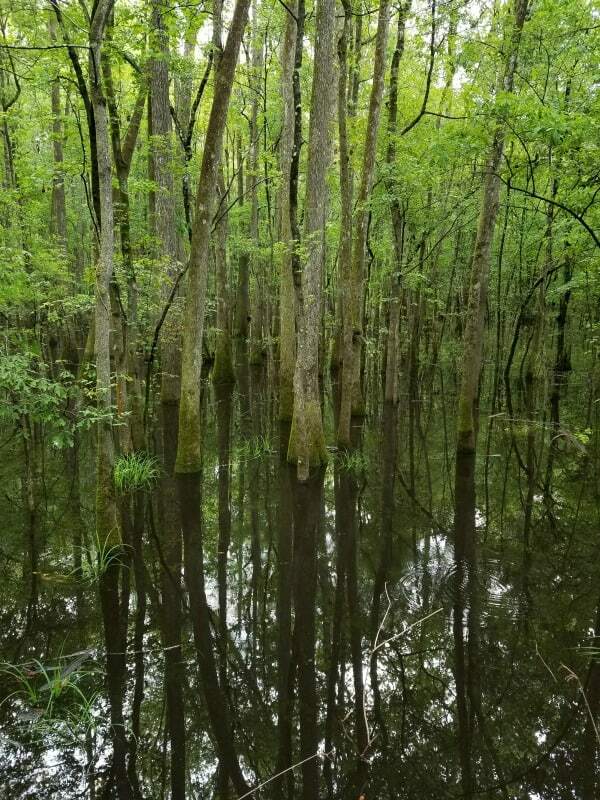 Congaree National Park is a beautiful park that protects the largest intact expanse of old growth bottomland hardwood forest remaining in the southeastern United States. Located in South Carolina the park is absolutely beautiful and well worth visiting. 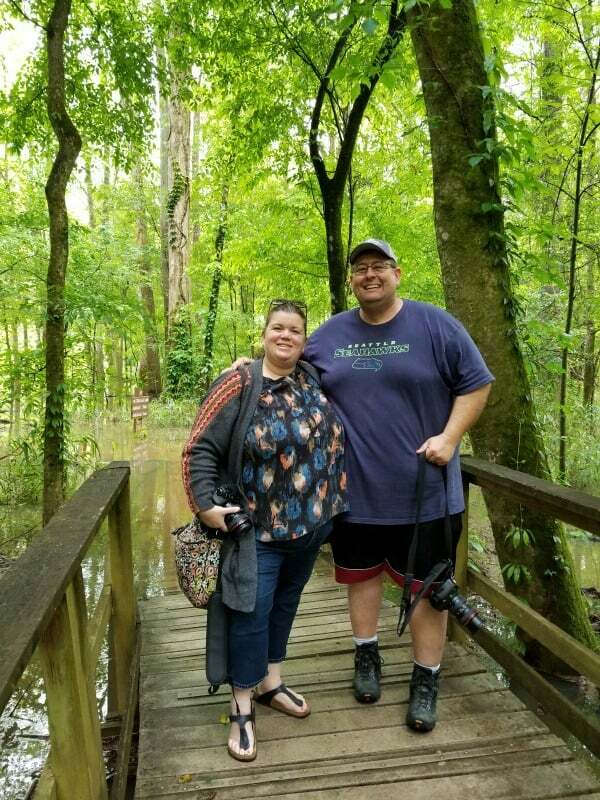 We visited in April and the park was partially flooded so we were only able to explore a portion of the boardwalks. 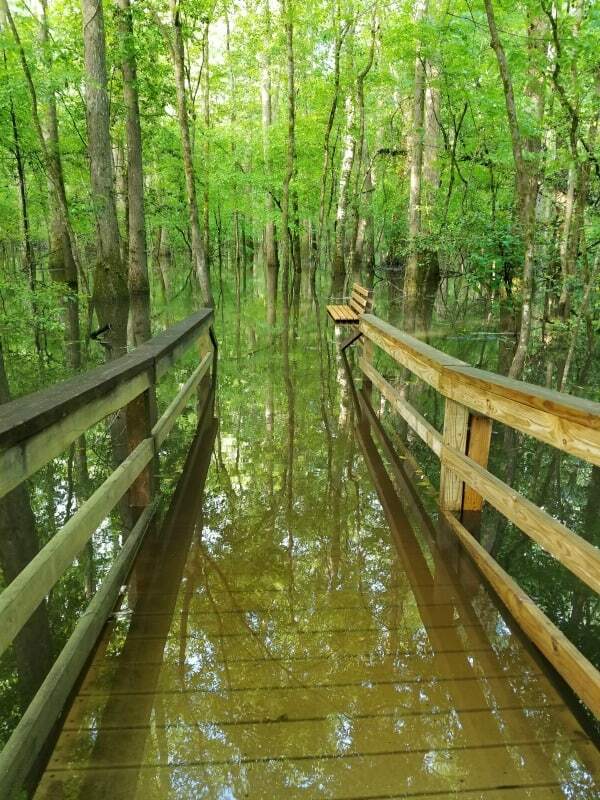 You definitely want to make sure to check the weather before visiting Congaree NP. The boardwalks are the perfect way to explore this park. -The only bathroom is by the visitor center. Make sure you use it before heading out on the boardwalk. -Bring a reusable water bottle with you, the park store does not sell water. -Check the weather before heading to the park. The boardwalk can flood easily if there is a lot of rain. We were unable to visit a large portion of the boardwalk due to flooding during our visit in April. -Dress in layers, it can be cool in the morning and then it warms up quickly and gets humid. -Go early in the morning for the great light for photographs and cooler weather. 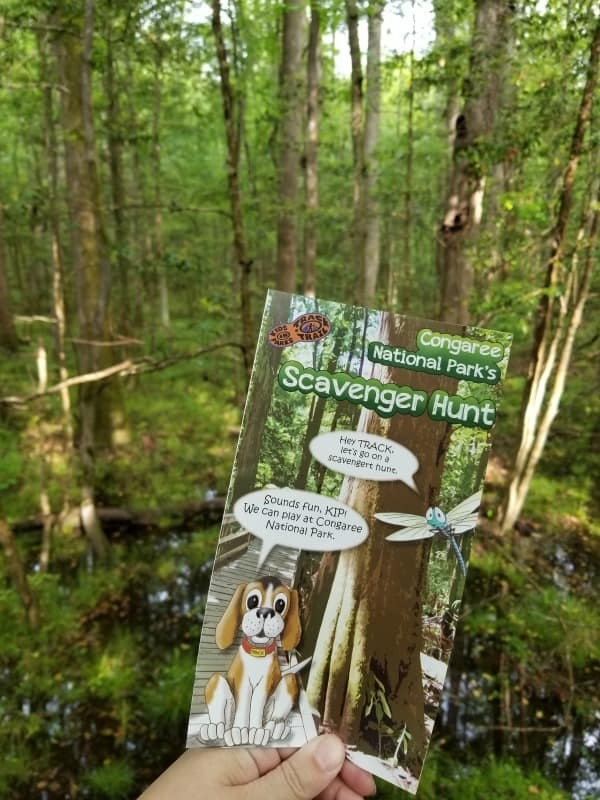 How big is Congaree National Park? Congaree National Park encompasses nearly 27,000 acres, including the largest intact expanse of old growth bottomland hardwood forest remaining in the southeastern United States. How much does it cost to visit Congaree National Park? 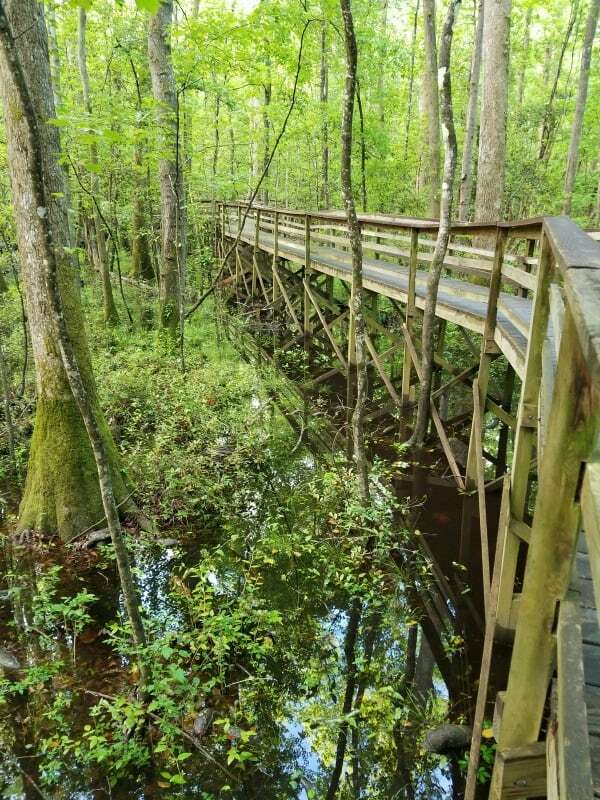 There is no entrance fee to visit Congaree National Park. 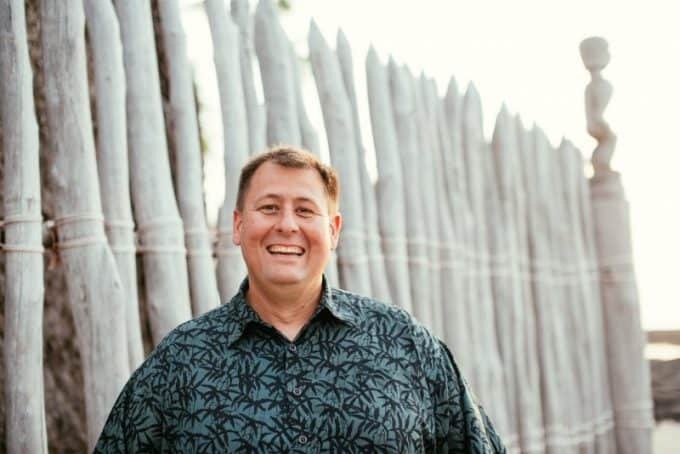 Learn more about National Parks Passes! How do I get to Congaree National Park? From Charleston – Take Interstate 26, Exit 145B. Take U.S. Highway 601 North to SC 48 (Bluff Road). Follow SC 48 (Bluff Road) West. Turn left on South Cedar Creek Road then right on Old Bluff Road to the park entrance. At Exit 5 turn onto SC Hwy 48 East/Bluff Road. Drive approximately 8 miles and then take a slight right onto Old Bluff Road. Follow Old Bluff Road for 4.5 miles to the park entrance sign, which will be on the right. Proceed one mile to the Harry Hampton Visitor Center. Parking lots will be on the right. 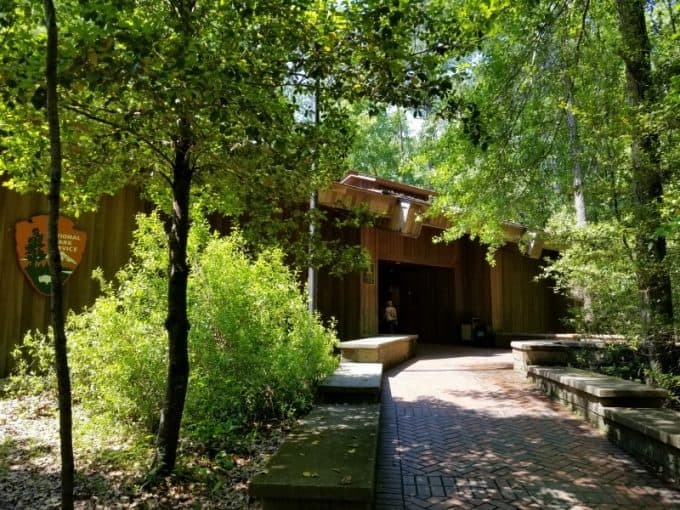 Where is the Congaree National Park Visitor Center? Where can I find out about staying/camping in Congaree National Park? Camping at Congaree is tent only. RV and/or car camping is not permitted within the park. All visitors planning to camp at Longleaf or Bluff Campgrounds are required to make reservations via Recreation.gov or by calling 1-877-444-6777. Is there a Junior Ranger Program at Congaree National Park? Yes! The junior ranger program includes information that can be found in the visitor center and by walking the boardwalks. You will want to give yourself an hour or two depending on the age of the participant. Can I bring my Dog/Pet with me to Congaree National Park? Yes! Congaree National Park is a very dog-friendly park. Just make sure that your dogs are on a leash and you have water available for them.